as etail chains based in the UK were included in this year's Global Powers of Retailing list published by STORES Magazine and Deloitte Touche Tohmatsu. According to Deloitte for fiscal year 2016, over 90% of the companies that reported bottom-line results were operating profitably for fiscal year 2016. As of January 2019, this is the most current list. 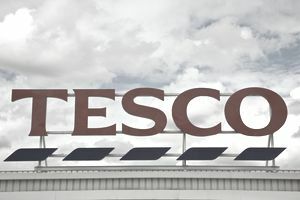 What follows is a complete list of the UK retail chains considered to be among the largest retailers in the world, according to annual revenue. The number in the left column is the global ranking number assigned to the company, based on its sales figures, compared to other top retail organizations worldwide. The top 50 most profitable retailers in the world is dominated by names you would probably expect: Wal-Mart at number one, the Schwarz Group at four, and other household names like CVS, Carrefour, Aldi, Target, and Albertson's all within the top 20. The United Kingdom's first retailer on the list—although not in the top 10—is nothing to sneeze at. However, there were still only three entries within the top 50 for FY 2016. The United States and other retail powerhouse countries like Germany and Sweden still dominate the charts, but the UK had a substantially larger presence on the world retail stage within the top 150 companies, bringing in six entries that are perennial stalwarts. These retail giants could stand on their own, especially when compared to the likes of The Gap at number 61, El Corte Ingles at 71, AutoZone at 91, and Louis Delhaize at 108. It seems as if the UK falls off rather abruptly after Associated British Foods, with only three companies bringing up the rear in the remaining 100 retail companies studied worldwide. There are many placements from countries like Japan, the Netherlands, Norway, and Mexico. As far as global retailing goes, the UK did not post exceptional numbers. They only had 12 companies break into the top 250 for fiscal year 2016. Comparing that to the blowouts of similarly sized countries like Germany and Japan, UK might be left considering how they may be able to maximize their proximity to the Eurozone as it related to profitability. Countries like Norway, Sweden, and Germany seem to have been better able to spread their retail operations across the world more than the UK, and it shows on the Deloitte Power List. Despite this showing, the UK has always been tenacious, and it will be exciting to see where they land next fiscal year.